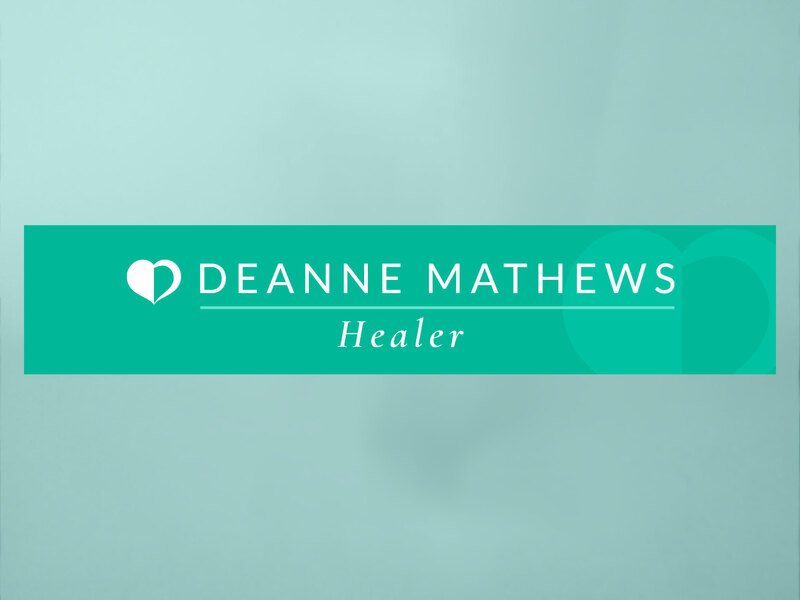 Deanne Mathews is a Melbourne-based Healer who already had a website with an established brand, ‘Self Love Woman’. 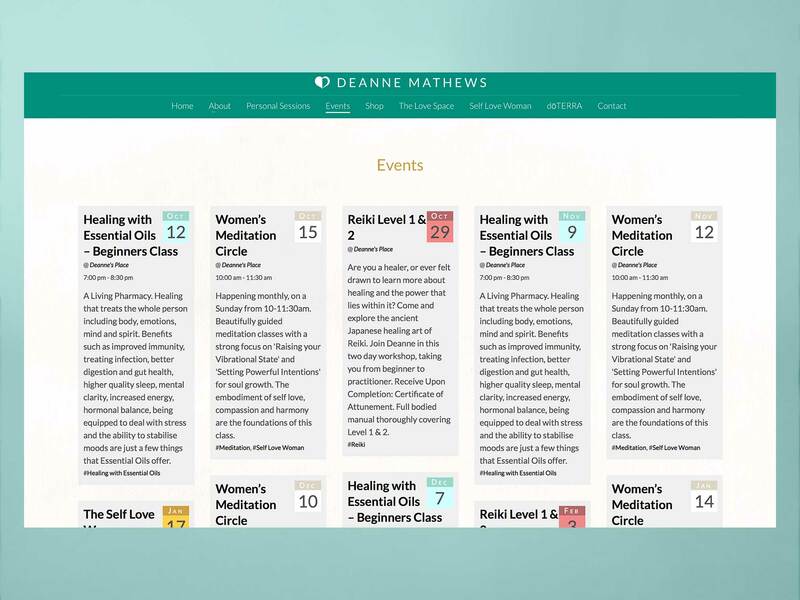 She approached us when she decided to change the emphasis of the website to be more centred on her healing practice. She still wanted to incorporate her Self Love Woman project into the new website, and maintain some recognisable elements from it. 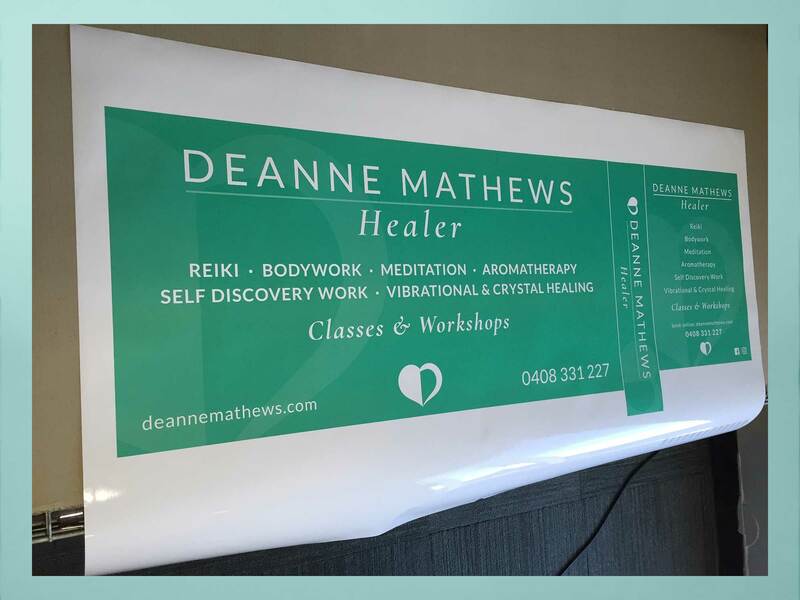 As ever, the project evolved to include other elements, such as a logo design and even shop signage for her new premises. 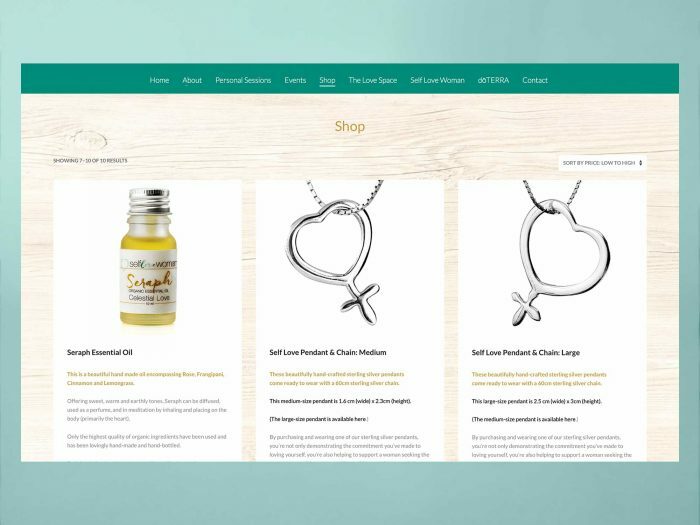 We approached this from two directions; analysing the technical side of the existing website, and determining the look of the new. 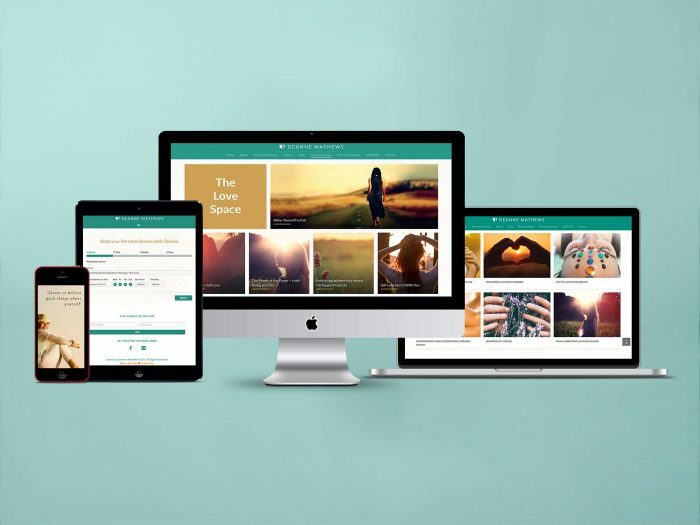 It was quickly apparent that there were some structural problems with the existing site that meant it was extremely slow to load and use. From the design side there were plenty of elements that could be re-used or changed slightly to give a new design without straying into the unrecognisable. From there it was obvious that our efforts would be best employed by building fresh from the ground up with the new style in mind, rather than try to rebuild using the existing framework. 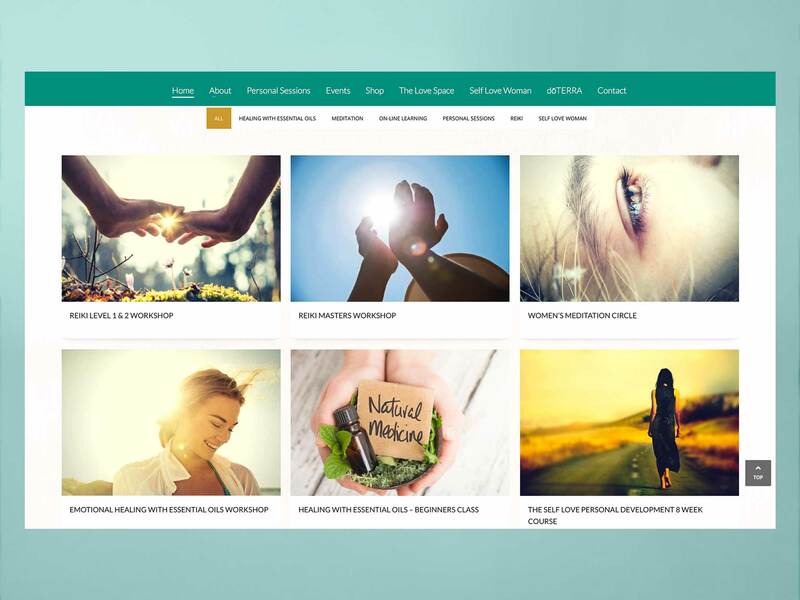 We worked with the existing palette, but changed the emphasis towards a mix of Gold with bold Teal highlights rather than shades of Gold. When it came time to create physical signage for the new premises in Melbourne, the bold Teal was used without Gold. In turn, this re-influenced the website design which then evolved to being Teal-based with Gold highlights. We suggested a heart-based logo, keeping some continuity with the existing Self Love Woman logo, but with cleaner, simpler lines. Of course, we created a range of favicons and icons to use with the website too. Fonts were similarly reduced in number and cleaner lines adopted. Attention was focussed on each page on the page topic by ‘de-cluttering’. We removed many of the widgets and distractions to concentrate on the core content. 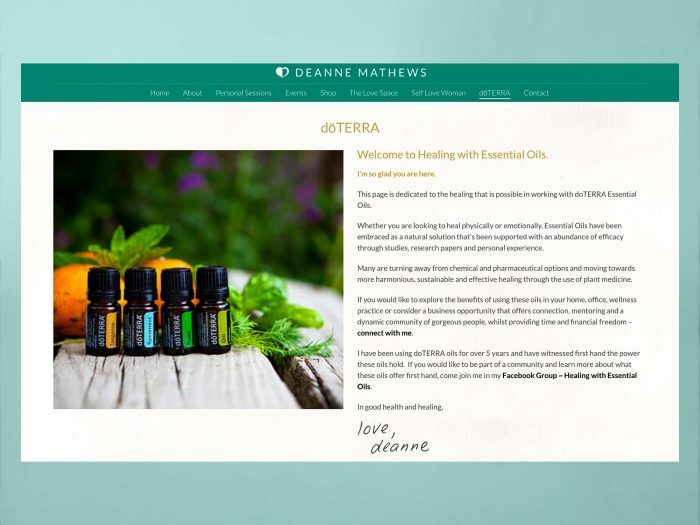 We redesigned her newsletter sign-up opt-ins to suit the new, cleaner style as well as hooking them into the background service (MailChimp) properly. Our iterative design process was enthusiastically embraced by Deanne, so the design quickly evolved to a stage where we could see a great deal of the website taking shape. At that point, evolution really took over! Both we and Deanne could see further potential to extend the website from what it was. 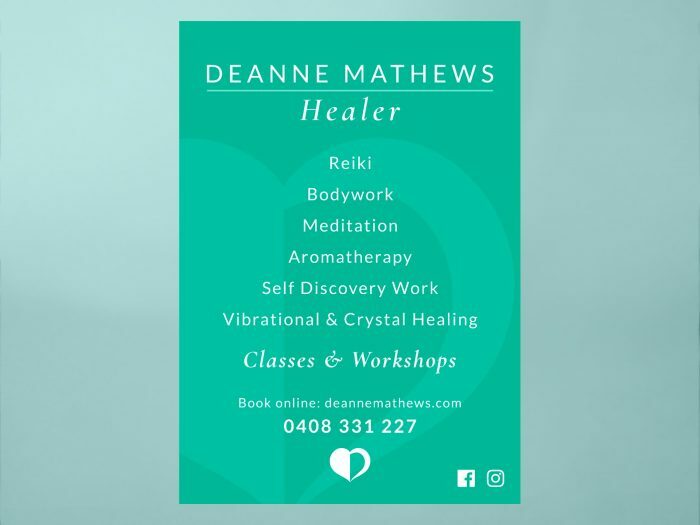 As well as the Shop element, the new website incorporates a booking service for Personal Sessions with Deanne, a service that she previously had to hire. She’s now in control of that herself, and it’s built into her website with no more monthly fees to pay. Similarly, she now has an Event and Ticketing system so she can advertise her workshops and directly sell tickets. 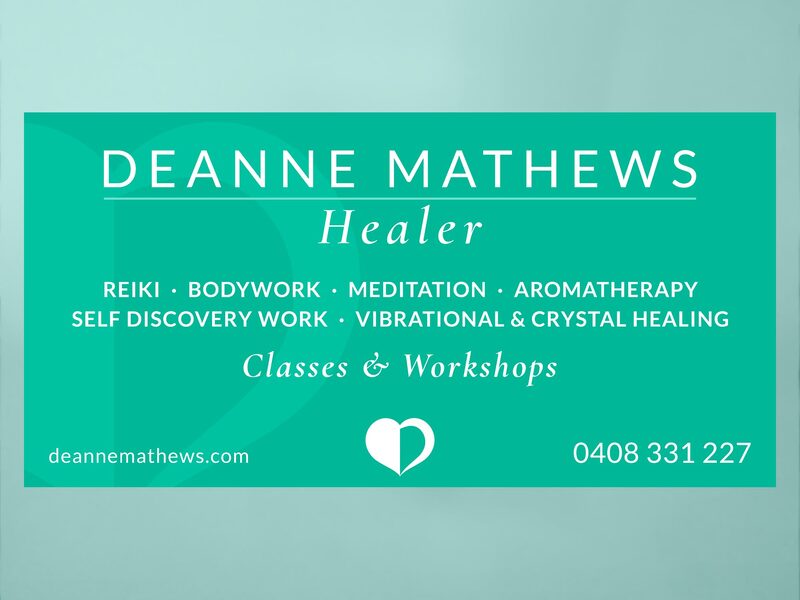 Everything is controlled within her website, and she doesn’t pay fees or percentages to any external companies. Again, she’s fully in control. The Shop, Personal Sessions bookings and Events and Ticketing systems are all presented through one section – the Portfolio. Here, when clients read about a service Deanne offers, it guides them smoothly into the correct area ready to book or buy. Along the way we also helped Deanne set up the email system she wanted. Her previous supplier had told her she couldn’t set it up on her Apple devices (yes, really! ), but they could offer her some limited email service for a few hundred dollars extra. We set up the addresses she wanted then helped her to install them on all the devices she wanted, for no extra charge, as part of her package.